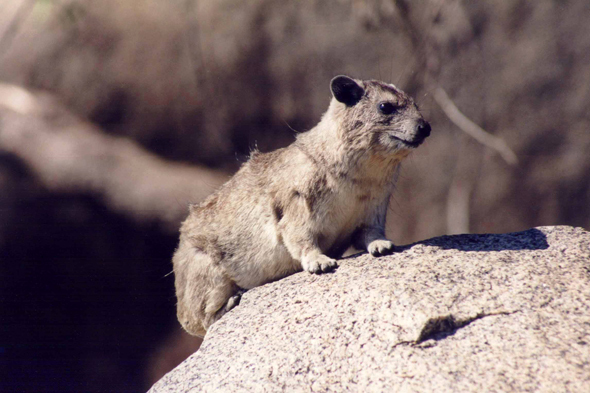 The rock dassie (Procavia capensis), they have the size and the figure of a rabbit which would have the short and round ears. It inhabits in grassy savanna and lives in the clefts of the rocks. It feed off leaves, grass, insects and lizards.